The all-new 2020 Toyota Corolla is set to write the 12th chapter in the big book of the world’s best-selling car. 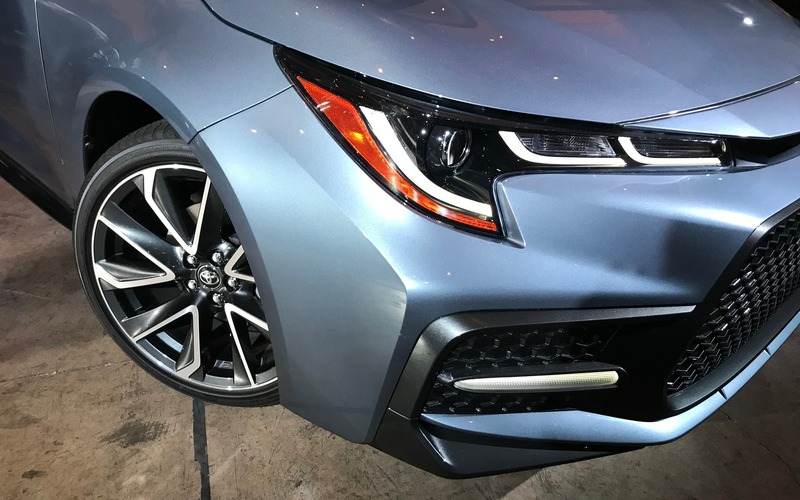 After more than 50 years and 45 million units sold, the Japanese compact sedan has been completely reimagined and redesigned following the Corolla Hatchback introduced last year. Just like every other recent Toyota product, it is built on the automaker’s new global architecture (TNGA). There are major changes in store, so to make sure you get a clear picture, The Car Guide will give you everything you need to know about the 2020 Corolla, which is now on sale. The Corolla looks and feels more dynamic with each new generation, but the 2020 model makes a significant leap forward. Just look at the headlight design and the way the front fascia is sculpted. SE and XSE trims have a unique LED signature, a body-coloured chin spoiler and 18-inch alloy wheels—a Corolla first—to emphasize the more athletic stance. Incidentally, the tracks are wider, the car’s height has been reduced and the hood sits lower to improve forward visibility. 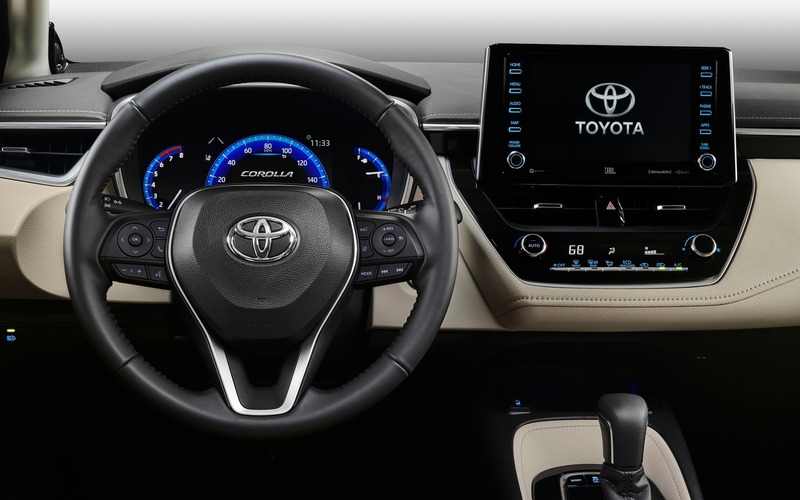 All 2020 Toyota Corolla sedans feature the Entune 3.0 multimedia system with either a 7- or 8-inch touchscreen providing access to vehicle settings, audio controls, navigation, and Entune 3.0 apps. Apple CarPlay (with Siri Eyes Free) integration is available, which is great, but Android Auto is unfortunately not offered. Meanwhile, a configurable multifunction display (up to seven inches) resides behind the steering wheel. Seat position has been optimized for increased comfort and visibility, while their new design makes the Corolla look fresher and sportier. Two-tone combinations are available including black with blue accents, not to mention a cream-coloured Macadamia option. 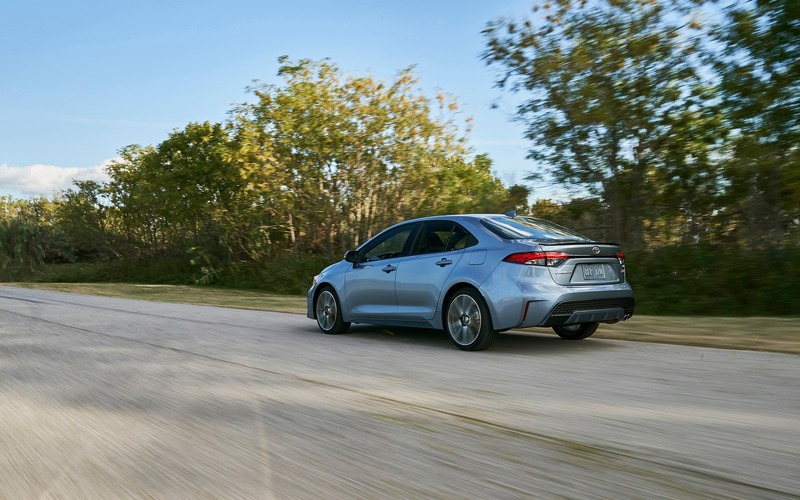 L, LE and XLE versions of the 2020 Toyota Corolla retain the 1.8-litre engine (now rated at 139 horsepower), while SE and XSE models benefit from an all-new 2.0-litre mill with direct injection and a higher compression ratio. This one puts out 169 horsepower and 151 pound-feet of torque. You should also know that the six-speed manual transmission has been upgraded with downshift rev-matching control for smoother shifts, while the available CVT is said to be 20-percent quicker than a conventional one (it offers simulated 10-speed sequential steps and a Sport Mode. The most fuel-efficient Corolla ever produced by Toyota is also on sale with a combined rating of 4.5 L/100 km. The Corolla Hybrid naturally uses the same gas-electric system as the latest Prius, namely a 1.8-litre combustion engine mated to a pair of small electric motors. Total system output amounts to 121 horsepower. And while it’s not a plug-in hybrid, this car does feature an EV Mode allowing drivers to cover short distances without a single drop of fuel. 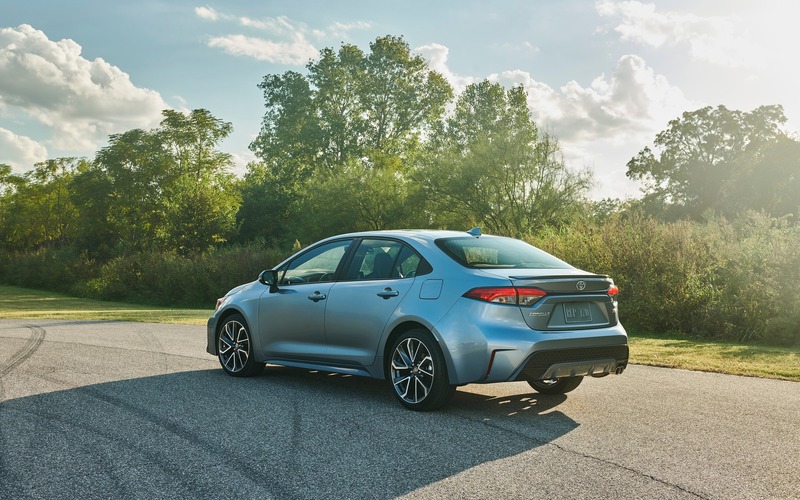 Toyota is promising superior agility (torsional stiffness has been increased by 60 percent) in what should be by far the smoothest and quietest-riding Corolla to date. The multilink independent rear suspension represents a major improvement from the previous torsion-beam setup, while sound-deadening materials have been added in various areas including between body panels. 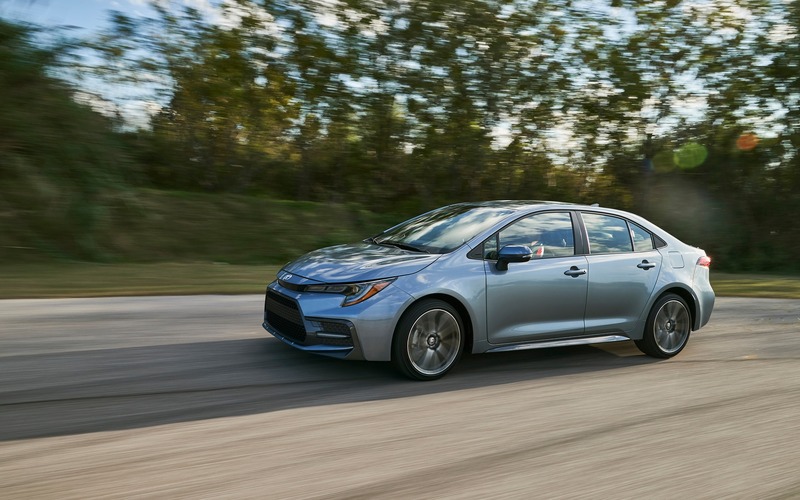 The new 2020 Toyota Corolla sedan also becomes one of the safest cars in its class with the Toyota Safety Sense 2.0 suite of advanced driver assists (such as a pre-collision system with pedestrian detection) coming standard across the lineup. As for pricing, the gas-powered 2020 Corolla starts at $18,990 with the manual transmission and $20,790 with the optional CVT. The top-of-the-line XSE CVT model retails for $28,490. Somewhere in the middle, you'll find the 2020 Corolla Hybrid at $24,790.